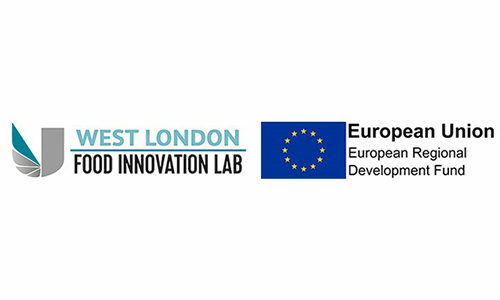 The University of West London, with the support of the European Regional Development Fund, offers new product development support to start-ups and small and medium-sized enterprises (SMEs) in Greater London. Free access to specialist new product development support. If you are a Greater London-based start-up or SME in the Food and Beverage sector and have a new product idea that you want to develop, or re-formulate an existing product taking a new innovative approach, our culinary experts will offer you guidance and advice for the creation of your product while our lab scientists and technicians will give you all the technical support for it. We will help you develop new formulations and line extensions, make cost improvements and refine your existing product formulations while giving you advice on regulatory compliance. Together we can turn your innovative ideas into winning products using our product development kitchen, science lab and sensory evaluation facility. Our team combines a deep culinary expertise with scientific knowledge and capability which can help you bring your concepts to life in our lab and to enable you re-produce it successfully and safely in your own facility.